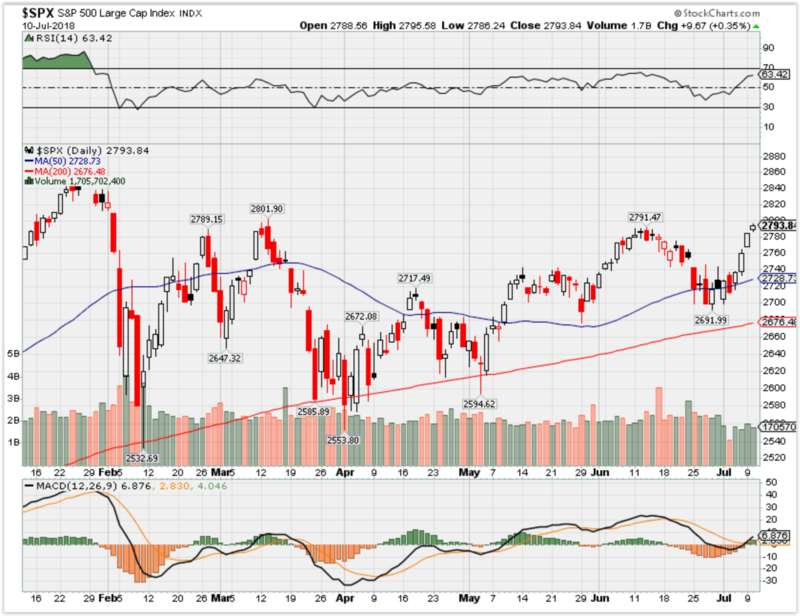 Where Will the SPX end July 2018? Amazon, Netflixand Microsoft together this year are responsible for 71 percent of S&P 500 returns and for 78 percent of Nasdaq 100 returns. Both rising rates and President Donald Trump’s tough talk on tradehave weighed on the rest of the stock market this year. For the former, market players fear the struggling equities environment which follows substantial moves in rates. Five months after a rate spike like the one seen in the first quarter, the S&P 500 declines on average by 0.3 percent. The second factor, Trump’s trade talk, has destroyed more than $1 trillion market value so far, according to J.P. Morgan on June 6. The firm highlighted the impact of trade and protectionist ideology as significant market headwinds, which have only continued to escalate. “Returns reflect markets facing macro uncertainty and tightening financial conditions,” BlackRock global chief investment strategistRichard Turnill wrote in a note Tuesday. Companies set a record for share buybacks in the second quarter, while investors set their own record for selling stock-based funds in June. On the corporate side, officials are finding that repurchases are the best use for investor cash now, while individual investors are fearful that a trade war could offset strong economic momentum this year. All in all, the corporate buying has won out, keeping the S&P 500 slightly positive for the year. Stocks right now are hanging by a thread, boosted by a bonanza of corporate buying unrivaled in market history and held back by a burst in investor selling that also has set a new record. Both sides are motivated by fear, as corporations find little else to do with their $2.1 trillion in cash than buy back their own shares or make deals, while individual investors head to the sidelines amid fears that a global trade war could thwart the substantial momentum the U.S. economy has seen this year. The numbers showing where each side put their cash in the second quarter are striking. Companies announced $433.6 billion in share repurchases during the period, nearly doubling the previous record of $242.1 billion in the first quarter, according to market research firm TrimTabs. Dow components Nike and Walgreens Boots Alliance led the most recent surge in buybacks, with $15 billion and $10 billion, respectively, last week. In all, 31 companies announced buybacks in excess of $1 billion during June. At the same time, investors dumped $23.7 billion in stock market-focused funds in June, also a new record. For the full quarter, the brutal June brought global net equity outflows to $20.2 billion, the worst performance since the third quarter of 2016, just before the presidential election. The selling is particularly acute in mutual funds, which saw $52.9 billion in outflows during the quarter and are typically more the purview of the retail side. 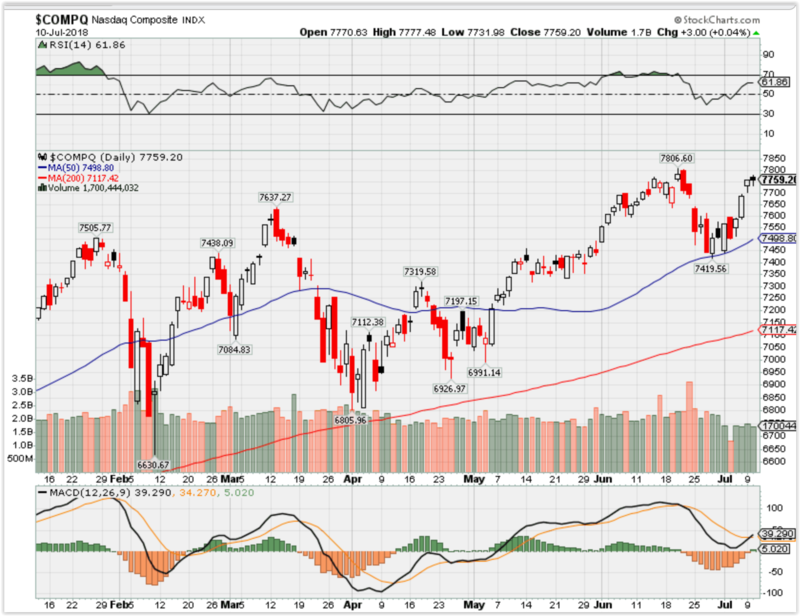 So far, the market has managed to survive, with a 1.6 percent S&P 500decline in the first quarter offset by a 3 percent gain in the second quarter, leaving the index up about 1.4 percent for the year. To be sure, there’s a bright side to the pessimism. TrimTabs, in its model portfolio, uses extreme periods of investor sentiment as opportunities to move in the opposite direction, and the firm said it is 100 percent long the S&P 500 now. That comes as bearish sentiment in the American Association of Individual Investors survey hit 40.8 percent last week, a 14.6 percentage point surge and only the second time this year it has eclipsed 40 percent. Hogan said investors can’t be blamed for an unwillingness to take on more risk even as the economy is turning up. After a typically lackluster 2 percent growth rate in the first quarter, GDP is likely to accelerate by 3.8 percent in the second quarter, according to CNBC’s Rapid Updatetracker of economic forecasts. Corporate behavior is helping offset that fear, but that has a catch. The 2017 tax cuts that lowered the nominal rate most companies pay from 35 percent to 21 percent also provided incentives to bring back profits stored overseas and gave breaks for companies investing in capital. However, a big chunk of corporate cash appears headed to shareholders. In addition to the buyback surge, companies issued a record $111.6 billion in dividends during the second quarter, bringing the 2018 total to $220.8 billion, a 7.8 percent increase over the same period a year ago, according to Howard Silverblatt, senior index analyst at S&P Dow Jones indices. M&A activity also is surging, with dollar volume for the three months ending May 31 at $726.3 billion, more than doubling the same period in 2018, FactSet reported. Capital spending, though, is expected to rise at more modest pace — 6.6 percent in 2018 and 5 percent in 2019, according to mid-June estimates from The Conference Board. So while companies are likely to continue to prop up the market by returning cash to shareholders, it comes against a backdrop of concern that there simply may be no better place to put money amid the trade uncertainty. Facebook’s stock has surged by about 33% since the buying opportunity following the Cambridge Analytica scandal. But despite the run-up Facebook remains very cheap. The company is set to expand revenues nearly 10 fold, from $7.8 billion in 2013 to an estimated $72 billion in 2019, an average annual growth rate of about 50%. The company also has various businesses capable of securing significant user growth going forward, and Facebook essentially has a monopoly in social networking. Despite the company’s remarkable growth and dominant market position the stock is currently trading at only 20 times next year’s earnings, possibly even cheaper. This suggests Facebook shares have significant upside potential from here, likely about 50% over the next year. Facebook (FB) has staged a formidable rally since the Cambridge Analytica scandal. In fact, a move from the $150 level to $200 represents an impressive 33% surge in fewer than 3 months. But despite the recent run-up in the stock Facebook shares still seem inexpensive in relation to the company’s explosive growth prospects. Investorspulled $12.4 billion from global stock-focused funds in June, the highest level since October 2008 amid the worst of the financial crisis. A slowing global economy is spooking some investors as are fears of a trade war. Emerging market stocks soared in 2017 but have slumped in 2018, adding to the outflow of investor cash. Summer just started and history suggests a sunny forecast. In the 35 times since 1950 when the S&P 500 rose at least 3 percent heading into the first day of the season, the full year was positive every time. That trend will stretch into a 36th year, according to Mark Tepper, president of Strategic Wealth Partners. The S&P 500 should end the year at around 2,900, predicts Tepper. Those levels imply a 5.5 percent rise from current levels and would see the S&P 500 end 2018 with full-year gains of 8.5 percent. The benchmark index came close to 2,900 at its record-making peak in late January. This march to 2,900 won’t be a straight shot, Tepper warns. Market fears over a brewing trade war between the U.S. and China have hit stocks this week. 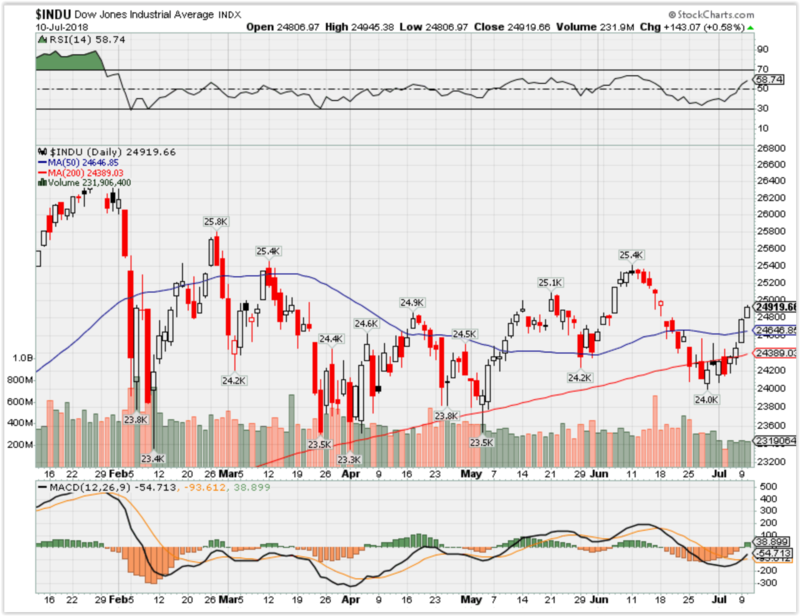 The S&P 500 was up just over 3 percent heading into June 21, although it is down 1 percent for the week and on track for its worst week since March. Worries pushed the Dow into negative territory for the year. Matt Maley, equity strategist at MillerTabak, says the Federal Reservecould introduce larger market tremors than trade worries. The aftershocks of tighter monetary policy are beginning to be felt on markets, says Maley, and those fissures could widen. The S&P 500 is currently 4 percent lower than its 52-week high set on Jan. 26, far from the more than 10 percent decline required for a correction. To be at that level, the S&P 500 would need to drop to at least 2,585.